This fine Brazilian Rosewood 12-fret Martin is a joy to play, and it’s properly set up for steel strings. 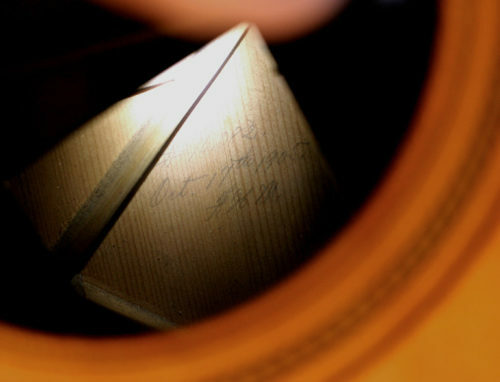 This 0-21 combines the exquisite tone of a 100 year old Martin, with some wonderful restoration. 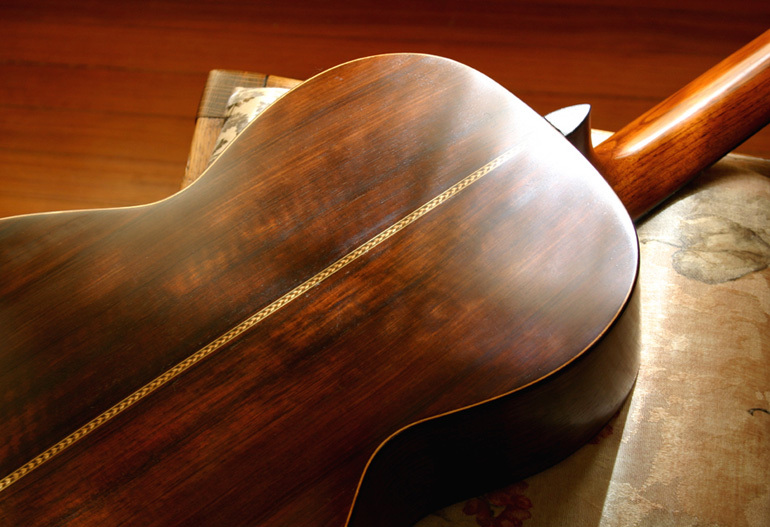 Guitar was refinished, probably decades ago, and it is a beautiful, French polish finish that has all the earmarks of an original finish. You can see the pores and saw marks in the Brazilian rosewood. 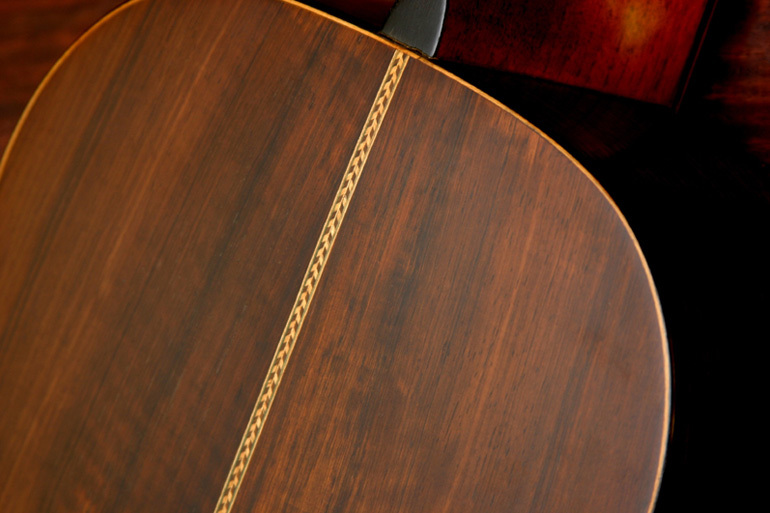 No heavy-handed finish here, it’s a natural finish that lets the grain and color of the wood come through. And the tone, too, that sweet tone you can only get from Brazilian this old. 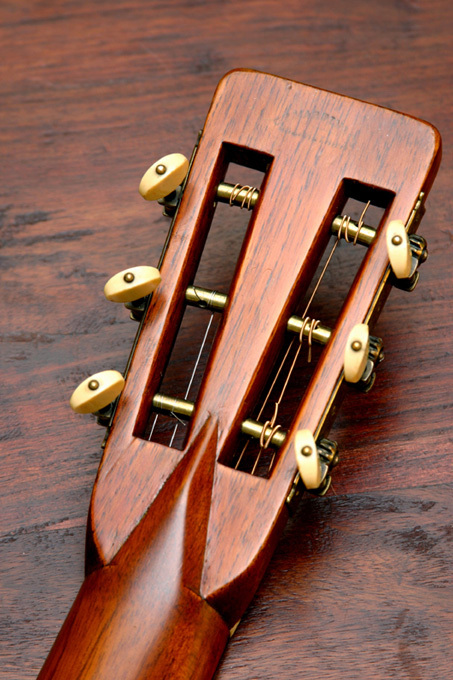 The ebony pyramid bridge is a replacement, and features a compensated saddle, so intonation is dead on. (The bridge plate is the original small maple plate, in perfect condition.) Original tuners. Crack-free top and sides. There is only one very small crack, on the back, about 3 inches long, professionally repaired. 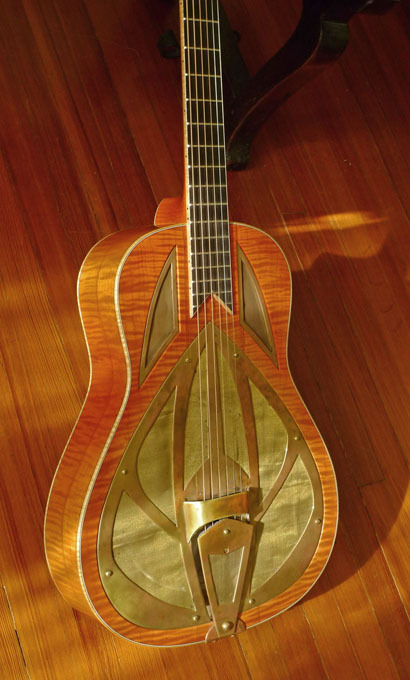 The neck was set recently by Tony Nobles, and the original bar frets dressed. 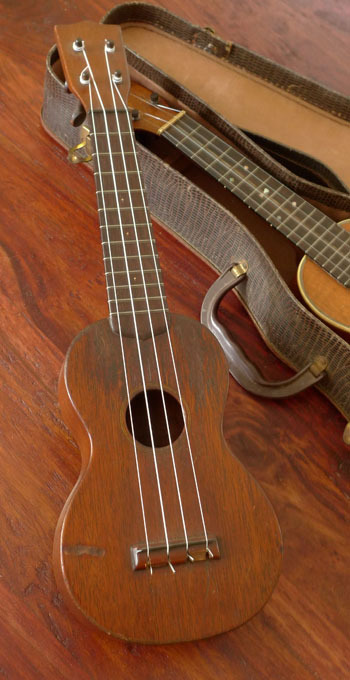 It plays, and sounds, like a late 20’s 12-fret Brazilian rosewood Martin.